Asics was developing new shoes targeted at casual runners, who run as a part of a healthy lifestyle. Casual runners do not participate in races or care too much about times. These consumers were looking for shoes with comfortable cushioning in which they could have fun and run easily. In a departure from standard cushioning parts, which are used in the insole, we developed a new product that both maintained the cushioning functionality of GEL and increased its durability for outsole use. This new type of large GEL pad, called PAD-GEL, is encased in an outer skin and covers the entire heel. During development, we explored different versions of GEL, balancing cushioning and adhesion functionality. We also developed a new adhesive technology for encasing GEL in an outer layer of plastic. We worked extensively with Asics to iron out any issues with PAD-GEL and slowly improved the new product. At long last, Asics GEL-KENUN with PAD-GEL went on sale. 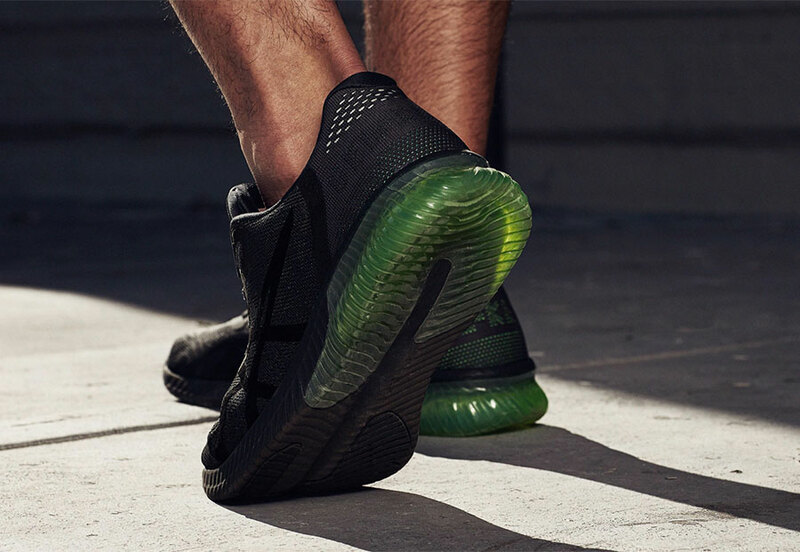 PAD-GEL played an important role in realizing Asics’ product concept: cushioned shoes that are both comfortable and fun to run in. Since GEL-KENUN went on sale in 2017 as a fall/winter model, it has quickly become a customer favorite within the new Asics running shoes lineup (Easy Running, Town Shoes, Athleisure). 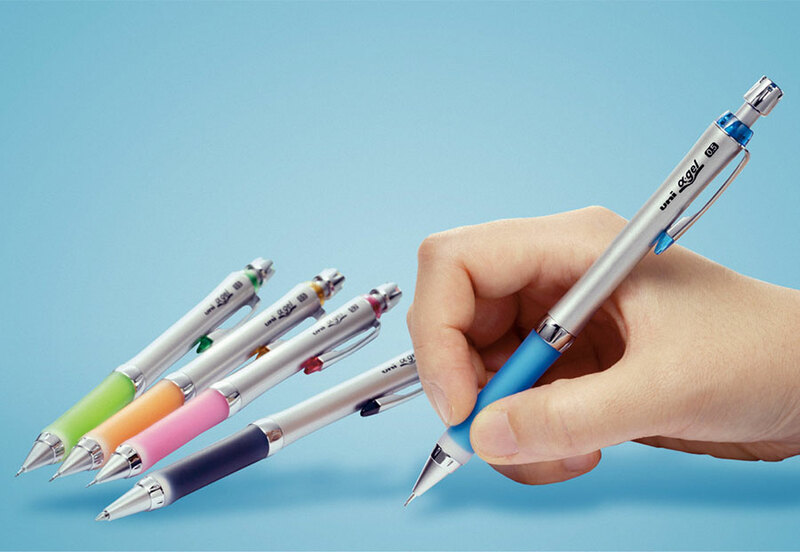 Mitsubishi Pencil contacted us looking for the perfect grip. Their requirements were that it be more memorable than any other grip, that it be easy to hold in the hand, that it not tire the hand during continued use, and that would reduce finger strain. To solve this problem, we developed a new version of Alpha GEL that was not only soft but also less elastic, that adequately dispersed finger pressure, and that fit well in the hand. Moreover, while making full use of the natural softness of silicone, we also proposed improving appearance and durability to match stationery industry standards. We developed many versions of Alpha GEL with varying levels of softness and resilience.  To find the perfect grip, we tested each version for hand strain and ease of use using state-of-the-art electromyography techniques. Finally, by encasing the gel in a silicone rubber container, we were able to mass produce the grips on an automated line. One of the most important features of the Casio G-Shock series is its high shock resistance, with centrifugal force resistance added to analog models targeted at aircraft pilots. Casio’s request was to add vibration resistance to an already impressively tough product. Working closely with Casio, we developed a vibration isolation mechanism within the small space of the watch interior. This technique was similar to seismic isolation structures used to earthquake-proof houses in Japan. We added vibration resistance to the already highly shock resistant version of Alpha GEL already used in the G-Shock series. We also performed a large number of tests and measurements during development to ensure the end product would have the highest anti-vibration functionality possible. The end product, called Triple G Resist, is resistant to shock, vibration, and centrifugal forces. This feature was first included in the Gravity Masters Series, which was lauded in the market as a vast improvement in analog watch reliability. 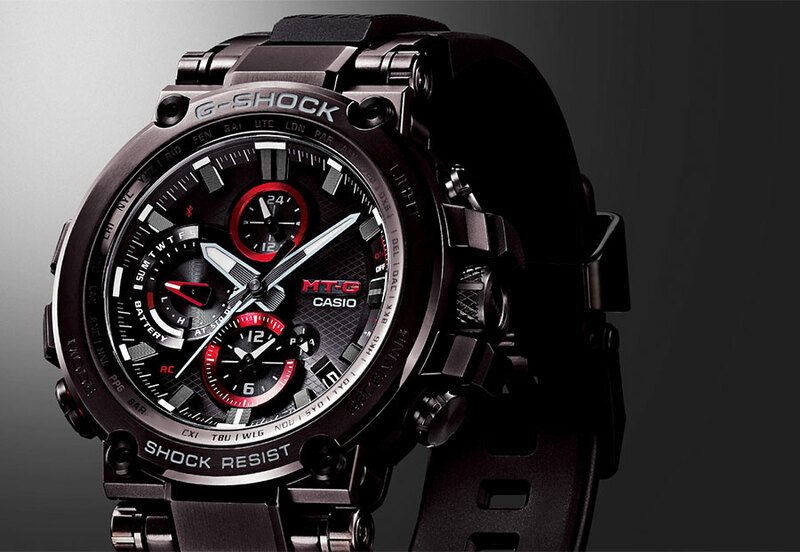 Triple G Resist was also featured in Mud Master, MT-G, and other Casio analog watch series, making a great contribution to the G-Shock brand.